Resideo is giving away four T4 programmable thermostats. 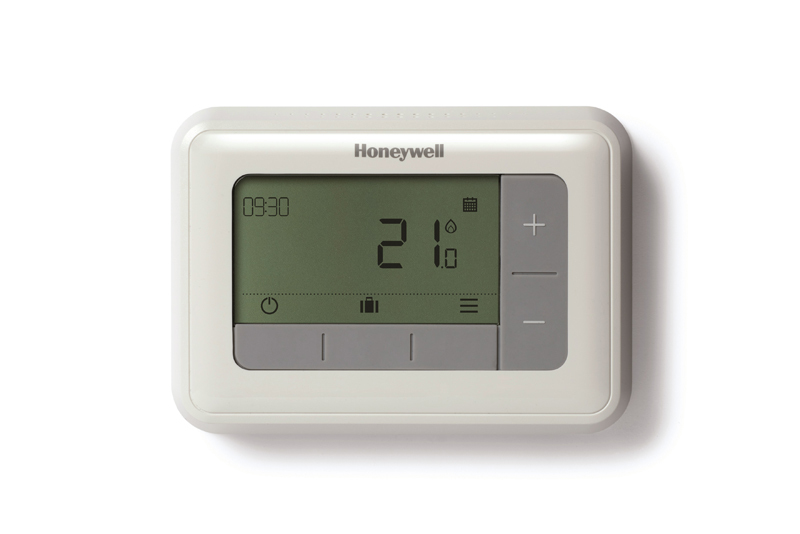 According to Resideo, makers of Honeywell Home branded products, research has shown there is still a lack of understanding amongst consumers on how to use heating controls, and a common misconception is that to achieve energy savings, ‘occupants must actively program their thermostat and select settings which result in energy efficiency’. However, ensuring that heating controls give the occupant the best possible opportunities to save energy and money, should not solely rely on the user. Modern controls, such as the T4 programmable thermostat, have a number of automatic energy efficiency measures built in, and it often comes down to the installer to explain the benefits they can provide. The unit is available in three models: the T4 standard, wired and battery-less model; T4R wireless version offering an easy switch over from an existing wireless receiver box; and the T4M, wired modulating version with on-screen OpenTherm boiler information for additional user control. All models have 7-day, 5/2 day and single day programming. Resideo assures installers it is easy to fit in three simple steps – wire in, power up and configure – before it’s ready to hand over to the homeowner. A new wireless receiver box, designed with a flip-up wiring bar for easy installation, also makes the wiring process more accessible.